A dog-leg gearbox is a manual transmission shift pattern distinguished by an up-over-up shift between first and second gear. The layout derives its name from a dog's hind leg, with its sharp angles. Dog leg gearboxes have fallen out of fashion primarily because most manual performance cars now have six-speed gearboxes, which are unsuited to the dog-leg layout. Dog leg layout gearboxes are desirable on performance cars because in road racing more frequent shifting occurs from second to third than from first to second gear. Examples of cars that have used this pattern for performance reasons include the Alfa Romeo Alfa 6 (all models 1979/1987), BMW M535, Early 635CSi (non-US) and (non-US) M3 E30, BMW 2002 Tii and Turbo, Fiat Dino 2.4 (ZF Box), Mercedes-Benz 190E 2.3-16 and 2.5-16, Mercedes-Benz 300 CE-24, Mercedes-Benz CW311, Ferrari 308/328/348, Ferrari Testarossa, Porsche 914, early 911, 924 Turbo (all featuring Getrag gearboxes), Cosworth Vega, Porsche 928, Talbot Sunbeam Lotus, Vauxhall Firenza HPF, Lancia Fulvia, Lancia Stratos, Lamborghini Countach, Maserati Biturbo, De Tomaso Pantera, and Aston Martin V12 Vantage[better source needed]. Despite the performance benefits, non-performance-oriented cars available with the dog-leg shift pattern were produced. Examples include the Ford Model A, Subaru 360, Datsun 140Y (Datsun Sunny B310 Coupe), Datsun 160J Hardtop SSS, 74–77 Datsun 610 SSS, 78–80 Datsun 200sx, 1980 Datsun 210 Wagon (built during the 210/310 crossover), 78–80 Datsun 510, Citroën 2CV, Mercedes 190, Mercedes-Benz 200D, Mercedes-Benz 300CE, Mercedes-Benz 320CE, Mercedes-Benz E320 sedan -94, Mercedes-Benz 300SL (R129), and the 1976–77 Oldsmobile Cutlass or Pontiac LeMans with the 260 V8, the 76–77 Chevrolet Vega or Pontiac Astre, 76–79 Chevrolet Monza or Buick Skyhawk or Oldsmobile Starfire, BMW E21, the 77–79 Pontiac Sunbird and TATA Sierra in India. The early model Renault 4 had a distinctive 'umbrella handle' dog-leg shift, which proved ideal for urban driving, though the shift was later changed to the 'conventional' pattern. Many light trucks (e.g. Iveco Turbo Daily) have dog-leg five- or six-speed transmissions, because second gear is fine for normal starting; first is considered a "crawler" or "granny" gear in these trucks and is only used for starting with heavy loads and/or a trailer, or descending steep grades. In many older trucks, the shifter is marked with "Low" instead of "1", and 2nd gear is marked as 1st instead. 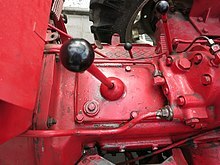 A 4-speed truck gearshift might read "R, Low, 1, 2, 3", rather than "R, 1, 2, 3, 4", since the transmission is considered a 3-speed with an auxiliary low gear rather than a normal 4 speed. The dog leg gearbox is typical of nine- and ten-speed heavy-truck transmissions. 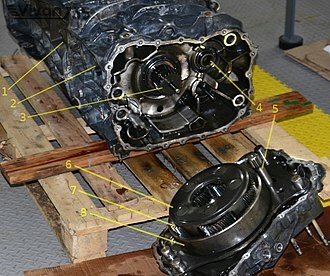 In the case of a ten-speed transmission, the gears are 1–5 in the low range and 6–10 in the high range (the 1 position is not used in the high range of a nine-speed transmission). ^ Paternie, Patrick (December 31, 1999). 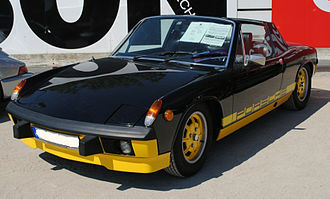 How to Restore and Modify Your Porsche 914 and 914/6. Motorbooks. p. 107. ISBN 9780760305843. The Subaru 360 is a rear-engined, two-door city car manufactured and marketed from 1958 to 1971 by Subaru. As the companys first automobile, production reached 392,000 over its 12-year model run, the 360s overall size and engine capacity complied with Japans Kei car regulations.10,000 were sold in the United States, imported by Malcolm Bricklin — advertised as Cheap and Ugly. The nameplate 360 derived from its engine displacement,356 cc engine. The 360 featured an air-cooled, 2-stroke inline 2-cylinder 356 cc engine mounted transversely at the rear, as with the two-stroke Saab 93s and other small two-stroke gas engines, oil was needed to be pre-mixed with gas, with the fuel tank lid serving as a measuring cup. In 1964, the Subarumatic lubrication system provided automatic mixing via an under-hood reservoir, floor-mounted controls located between the driver and passenger seat included choke and fuel cut-off — the latter to accommodate gravity fed fuel which obviated the need for a fuel pump. Final assembly included wheel alignment, brake testing, chassis dynometer, headlight testing, in contrast to the Volkswagen Beetle, the 360 is much smaller, less powerful, and was not nearly as well accepted in the world marketplace. The body was of construction and used a lightweight fiberglass roof panel. In the post war period, more automobiles would switch to unibody construction, many of the ideas came from engineers from the former Nakajima Aircraft Company, which became Fuji Heavy Industries. The suicide doors are hinged at the rear, which Consumer Reports remarked could, equipped with a 3-speed manual transmission, the 360 had a top speed of 60 mph, and with a curb weight under 1000 pounds, the 360 was exempt from compliance with US safety regulations. Consumer Reports recorded a 0-60 time of about 37 seconds and reported 25–35 miles per gallon, when introduced in 1958, the 360s engine produced 16 hp. By the end of production, power had increased to 25 hp with a 36 hp twin-carbureted engine optionally available. The Lancia Stratos HF, widely and more simply known as Lancia Stratos, is a sports car and rally car made by Italian car manufacturer Lancia. The HF stands for High Fidelity and it was a very successful rally car, winning the World Rally Championship in 1974,1975 and 1976. A Bertone-designed concept car called the Lancia Stratos Zero was shown to the public in 1970, a new car called the New Stratos was announced in 2010 which was heavily influenced by the design of the original Stratos, but was based on a Ferrari chassis and engine. Bertone had no business with Lancia, who were traditionally linked with Pininfarina. Bertone knew that Lancia was looking for a replacement for the ageing Fulvia for use in rally sports, Bertone used the running gear of the Fulvia Coupé of one of his personal friends and built a running showpiece around it. When Bertone himself appeared at the Lancia factory gates with the Stratos Zero he passed underneath the barrier, Lancia presented the Bertone-designed Lancia Stratos HF prototype at the 1971 Turin Motor Show, a year after the announcement of the Stratos Zero concept car. The prototype Stratos HF was fluorescent red in colour and featured a distinctive crescent-shaped-wrap-around windshield providing maximum forward visibility with almost no rear visibility. The use of the Dino V6 was planned right from the beginning of the project, after the production of the Dino car had ended the Commendatore agreed on delivering the engines for the Stratos, and Lancia suddenly received 500 units. The Stratos was a successful rally car during the 1970s. It started a new era in rallying as it was the first car designed from scratch for this kind of competition, Lancia did extensive testing with the Stratos and raced the car in several racing events where Group 5 prototypes were allowed during the 1972 and 1973 seasons. Production of the 500 cars required for homologation in Group 4 commenced in 1973, the Ferrari Dino V6 engine was phased out in 1974, but 500 engines among the last built were delivered to Lancia. Production ended in 1975 when it was thought that only 492 were made, manufacturer of the car was Bertone in Turin, with final assembly by Lancia at the Chivasso plant. The car was sold as the Lancia Stratos HF Stradale, the Stratos weighed between 900 and 950 kilograms, depending on configuration. Power output was around 275 hp for the original 12 valve version and 320 hp for the 24 valve version, beginning with the 1978 season the 24 valve heads were banned from competition by a change to the FIA rules. Even with this perceived power deficit the Stratos was the car to beat in competition, despite the fact that the Stratos was never intended to be a race car, there were two Group 5 racing cars built with 560 hp, using a single KKK turbocharger. As well as victories on the 1975,1976 and 1977 Monte Carlo Rally, all courtesy of Munari, the Stratos won the event with the private Chardonnet Team as late as 1979. The last victory of the Stratos was in 1981, at the Tour de Corse Automobile, another World Rally Championship event, when the Fiat group favoured the Fiat 131 for rallying Lancia built two Group 5 turbocharged silhouette Stratos for closed-track endurance racing. 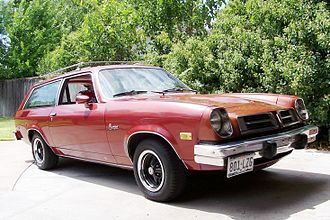 The Chevrolet Vega is a subcompact automobile that was produced by Chevrolet from 1970 to 1977. Available in two-door hatchback, notchback and panel delivery body styles, all models were powered by an inline engine with a lightweight. Variants included the Cosworth Vega, a short-lived limited-production performance model, the Vega received praise and awards at its introduction, including 1971 Motor Trend Car of the Year. Subsequently the car became known for a range of problems related to its engineering, safety, propensity to rust. Despite a series of recalls and design upgrades, the Vegas problems tarnished both its own as well as General Motors reputation, production ended with the 1977 model year. The name vega derives from the brightest star in the constellation Lyra and it forms one corner of the Summer Triangle. Chevrolet and Pontiac divisions worked separately on small cars in the early, Ed Cole, GMs executive vice-president of operating staffs, working on his own small-car project with corporate engineering and design staffs, presented the program to GMs president in 1967. GM chose Coles version over proposals from Chevrolet and Pontiac, corporate management made the decisions to enter the small car market and to develop the car itself. In 1968, GM chairman James Roche announced GM would produce the new car in the U. S. in two years, Ed Cole was chief engineer and Bill Mitchell, vice-president of design staff, was chief stylist. 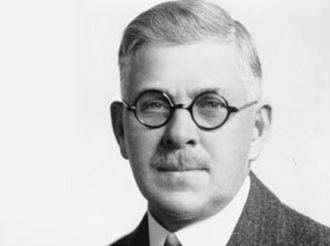 Cole wanted a world-beater in showrooms in 24 months, a GM design team was set up, headed by James G. Musser Jr. who had helped develop the Chevy II, the Camaro, the Chevrolet small-block V8 engines, and the Turbo-Hydramatic transmission. Musser said, This was the first vehicle where one person was in charge, as GM president, Cole oversaw the cars genesis and met the projected schedule. The Vega was conceived in 1968 to utilize newly developed all-aluminum die-cast engine block technology – the first sand-cast aluminum blocks had preceded the decision to build the car by two years. A relatively large displacement engine with good low- speed torque was decided on, the chief vehicle engineer had overall charge of the program. The Pontiac LeMans /ləˈmɑːnz/ was a model name that was applied to subcompact- and intermediate-sized automobiles marketed by Pontiac from 1962 to 1981. The LeMans was introduced as the version of the compact-sized Pontiac Tempest toward the end of the 1961 model year on GMs new Y body platform. The Tempest LeMans was a package featuring sportier and more luxurious trim than the Tempest, including different badging. The trim option was only on the two-door sedan body style. For the 1962 model year, the LeMans was still a trim package, there was no pillarless hardtop body style available in either the Tempest and LeMans versions. For 1963, the LeMans name was used only on two-door coupes and convertibles. This would last for just one year, optional was a high-performance 326 CID V8 engine. The Tempest line was changed to a car on the new GM A platform in 1964. The LeMans trim over lesser Tempests included carpeted lower door panels, deluxe steering wheels, courtesy lighting, for 1964, a two-door hardtop body design was added. A new 215 cu in I6 was introduced, as well as a redesigned 326 cu in V8 that now actually displaced 326 CID. Shortly after the start of the 1964 model year, the LeMans became available with a new performance package designated as the GTO, the GTO option included a 389 cu in V8 from the full-sized Pontiac line that produced 325 or 348 in Tri-Power version. The LeMans line was expanded to include a sedan for the 1965 model year. With the Introduction of the Tempest in 1961, Pontiac achieved the three in sales and something it would hold onto through the decade of the sixties. The success and the image of the GTO helped increase the image, the pillared 4-door sedan was replaced by a four-door hardtop body style for the 1966 model year. The GTO became a model of its own for 1966, though retaining the same basic body as the Tempest. For 1966, all Pontiac intermediates got new styling featuring tunnelback rooflines on two-door hardtop, while the GTO continued as a big-engined muscle car, the Tempest and LeMans models got a new SOHC230 cu in I6 as the base engine. This engine, as well as the early Tempest with the transaxle in the rear, were ideas of Pontiacs Chief Engineer John De Lorean (who became Pontiacs general manager at the end of the 1965 model year. The BMW E21 is the first generation of the BMW3 Series compact luxury vehicle and was produced from 1975 to 1983. It was initially available as a 2-door sedan, to replace the 02 Series, at launch, all models used carburetted 4-cylinder engines, however fuel injected models were introduced in late 1975 and 6-cylinder engines were added in 1977. A cabriolet body style - manufactured by Baur - was available from 1978 to 1981, the E21 was replaced by the E303 Series in 1982. Under the direction of its 51% percent shareholder, Herbert Quandt, paul Bracq, Director of Design at BMW from 1970 to 1974, is credited with setting the design direction of the E21. In July 1975, BMW’s Board of Management introduced the 3 Series to the public at the Munich Olympic Stadium, the frontal view of the new car was dominated by the BMW trademark kidney grille standing out clearly from the radiator cover. The styling of the new car bore a resemblance to the BMW E125 Series, the wedge shape of the two-door model was distinctive, extending all the way to the unusually high rear end. In response to criticism of the design, a black plastic trim panel between the tail lights was added. Like many other BMW models, the C-pillar of the E21 features a Hofmeister kink, the cockpit design of the E21 marked the introduction of a new design concept, with the center console and central dashboard area angled towards the driver. This feature has become part of BMW’s interior design philosophy for many years, as a sign of passive safety, all edges and control elements within the interior were rounded off and padded. Measuring 4,355 mm long,1,610 mm wide, and 1,380 mm high, with the wheelbase measuring 2,563 mm, there was little body overhang in the rear-wheel-drive design. The track measured 1,364 mm at the front, and 1,377 mm at the rear, the suspension incorporated rack and pinion steering and MacPherson strut suspension at the front, and semi-trailing arm type independent suspension at the rear. The rear suspension design causes camber changes, which can introduce snap oversteer at the handling limits, the power assisted brakes were discs on the front wheels, while the rear wheels had drum brakes. The Oldsmobile Cutlass is a line of automobiles produced by Oldsmobile between 1961 and 1988, and again briefly in 1997-1999. The Cutlass was Oldsmobiles smallest, entry-level product, an approach not used since the 1940s Oldsmobile Series 60, the all new Cutlass began as a unibody compact car, but saw its greatest success as a body-on-frame intermediate. Over time the Cutlass name accumulated great brand equity, becoming not only Oldsmobiles best-selling model, by the 1980s, Oldsmobile was using the Cutlass as a sub-marque, with numerous vehicle lines bearing the name simultaneously. These included the Cutlass Calais compact, the midsize Cutlass Ciera, the Cutlass Cruiser station wagon, the first Oldsmobile Cutlass was an experimental sports coupe designed in 1954. 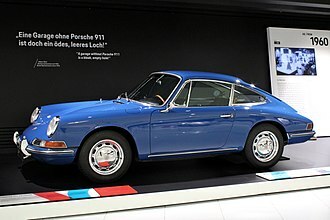 It rode a 110 in wheelbase, and featured a fastback roofline. Its platform was similar to the compact F-85, which was not introduced until seven years later. General Motors began developing its first compact cars in 1956, beginning with initial planning on what would become the Chevrolet Corvair in 1960, the following year a second series of somewhat larger cars was planned for Buick and Pontiac, what would be termed senior compacts. They would share the body shell and lightweight engine. Oldsmobile designer Irvin Rybicki began work on the Olds model in 1957 and it finally went on sale in 1960 as a 1961 model. The Oldsmobile F-85 shared a new Y-body platform with the Buick Special and Pontiac Tempest, using a 112-inch wheelbase and it was Oldsmobiles smallest, cheapest model – some two feet shorter and $451 less than the next-smallest Olds. The F-85 had double wishbone front suspension and a live axle in the rear. Standard engine was the new small V8, all aluminum, displacing 215 cu in, with a two-barrel carburetor, it was rated 155 bhp and 210 pound force-feet. Transmission options were initially three-speed manual or the newly introduced three-speed Roto Hydramatic, the F-85 had drum brakes of 9.5 inches diameter. Overall length was initially 188.2 inches, and curb weight was around 2,800 pounds, the first-year F-85 was offered as a four-door sedan in base or Deluxe trim, or a four-door station wagon with either two or four seats, in base or Deluxe form. The BMW02 Series is a range of compact executive cars produced by German automaker BMW between 1966 and 1977, based on a shortened version of the New Class Sedans. The 02 Series caught enthusiasts attention and established BMW as an international brand, the first 02 Series produced was the 1600-2 in 1966. In 1975, the 02 Series was replaced by the E213 Series, the 1600-2, as the first 02 Series BMW was designated, was an entry-level BMW, and was smaller, less expensive, and less well-appointed than the New Class Sedan on which it was based. 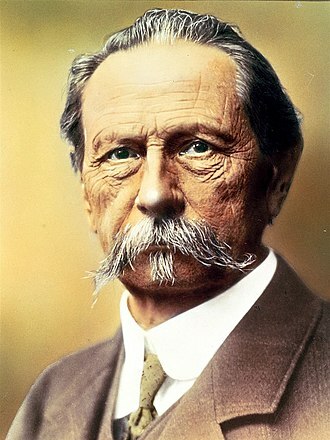 BMWs design director Wilhelm Hofmeister assigned the project to staff designers Georg Bertram. The 23 cm shorter length and wheelbase and lighter weight of the sedan made it more suitable than the original New Class sedan for sporting applications. As a result, the two door sedan became the basis of the sporting 02 Series, beginning in 1968, a convertible based on the 02 body was built by Karosserie Baur. A hatchback, called the Touring model, was developed from the 02 body, only 25,827 Touring models were sold, therefore the models were discontinued in 1974. The 1600-2 made its debut at the Geneva auto show in March 1966 and was sold through 1975, the 1.6 L M10 engine produced 63 kW at 5,700 rpm and 130 N·m at 3,500 rpm. 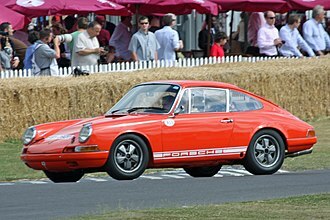 In 1968, Road & Track declared the US$26761600 a great automobile for the price, a high performance version, the 1600 TI, was introduced in September 1967. With a compression ratio of 9.5,1 and the dual Solex PHH side-draft carburettor system from the 1800 TI, kerb weight for the 1600 TI is 960 kg. The 1600 TI was not sold in the United States, as it did not meet their emission standards, introduced in September 1967 was a limited-production cabriolet, which would be produced by Baur from 1967 through 1971. A hatchback 1600 Touring model was introduced in 1971 but was discontinued in 1972, helmut Werner Bönsch, BMWs director of product planning, and Alex von Falkenhausen, designer of the M10 engine, each had a two litre engine installed in a 1600-2 for their respective personal use. When they realized they had made the same modification to their own cars, they prepared a joint proposal to BMWs board to manufacture a two litre version of the 1600-2. 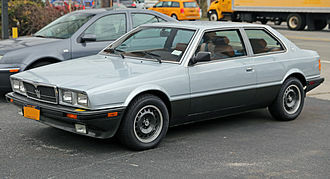 The Maserati Biturbo was a family of luxury sports cars and grand tourers produced by Maserati between 1981 and 1994. The original Biturbo was a two-door, four-seater notchback coupé featuring, as the name implies, the car was designed by Pierangelo Andreani, Chief of Centro Stile Maserati up to 1981, somewhat influenced by the design of the recent Quattroporte III. All Maserati models introduced from the Biturbos inception in 1981 until 1997 were based on the original Biturbo architecture, among them the coupés as the 2. 24v. When Alejandro de Tomaso acquired Maserati in 1976, he had plans for the marque. His plan was to combine the prestige of the Maserati brand with a car that would be more affordable than the earlier high-priced models that had traditionally made up the Maserati range. In fact, Maserati ceased making supercars like the developed under Citroën ownership altogether, like the Bora. The Biturbo was initially a strong seller and brought Italian prestige to a wide audience, sales figures fell in subsequent years. 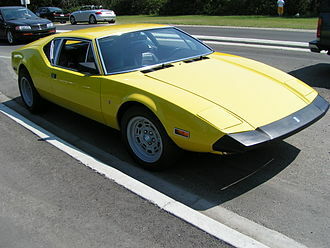 De Tomaso used another of his companies, Innocenti, to produce Biturbo body panels, de Tomaso sold Maserati to Fiat, who grouped the company with their erstwhile rival Ferrari. The Biturbo is number 28 in the BBC book of Crap Cars and in 2007 was selected as Time Magazines worst car of 1984, the Biturbo competed unsuccessfully in the British Touring Car Championship in the late 1980s, the European Touring Car Championship and the World Touring Car Championship. Between 1987–89 a facelift was phased in, which helped to soften the sharp bodylines, the redesign included a taller and more rounded grille with mesh grille and bonnet, aerodynamic wing mirrors and 15 disc-shaped alloy wheels, now mounted on 5-lug hubs. Some models received the wraparound bumpers with integral foglights and the deep sills introduced with the 2. 24v. In 1991 the entire lineup was restyled for a time, again by the hand of Marcello Gandini. Gandini, the Shamals designer, developed an aerodynamic kit that included a unique spoiler at the base of the windscreen hiding the windshield wipers, a rear spoiler, the new two-element headlights used poliellypsoidal projectors developed by Magneti-Marelli. The Chevrolet Monza is a subcompact, four-passenger automobile produced by Chevrolet for the 1975–1980 model years. 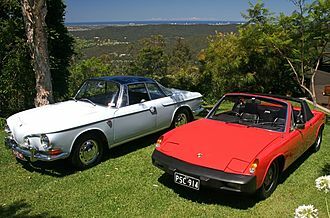 The Monza is based on the Chevrolet Vega, sharing its wheelbase, the name was used for the Latin American version of the Opel Ascona C. The Monza 2+2 and Monza Towne Coupe competed with the Ford Mustang II, general Motors H-body variants Buick Skyhawk and Oldsmobile Starfire were produced using the Monza 2+2 body with grill and trim variations and Buicks 3.8 liter V6 engine. 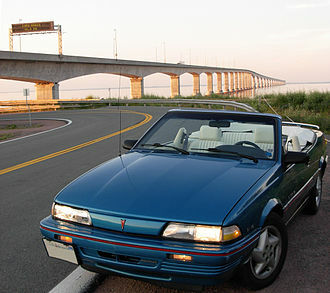 The Pontiac Sunbird variant was introduced the model year, eventually offered in both Monza body styles. The Monza nameplate originated in mid-1960 for the version of the Chevrolet Corvair. The Monza 2+2, Chevrolets sport successor to the Vega, debuted as a single-model 2+2 hatchback, GM had planned to introduce the GM Wankel rotary engine, licensed from NSU Motorenwerke AG, in the 1975 Monza. Rotary issues included mediocre fuel economy compounded at a time of high fuel prices following the Arab Oil Embargo of 1973. Thus the 1975 Chevrolet Monza was launched carrying a conventional piston engine instead, the 1975 Monza 2+2 wears its once-newly approved rectangular headlights and a slot-style grille in a slanted nose made of resilient polyurethane. The side window louvers are functional, part of the ventilation system. The Monza 2+2s two-door hatchback body style is shared with the Oldsmobile Starfire, the standard Monza engine is the Vega aluminum-block 140 CID inline-four engine with a single barrel carburetor that generates 78 horsepower at 4200 rpm. Optional was the two-barrel carburetor version that generates 87 horsepower at 4400 rpm, Chevrolets new 4.3 liter V8 engine was optional. The smallest V8 ever offered by Chevrolet, it features a Rochester two-barrel carburetor, the basic design was incorporated into GMs third and fourth generation F-bodies, Chevrolet Camaro and Pontiac Firebird. It features single round headlamps, instead of the rectangular headlamps on the 2+2. The Towne Coupe was offered in response to the success of the Ford Mustang II notchback coupe and its luxury version. Walter Röhrl's 1981 924 Carrera GTS driven during the 2008 Rallye Deutschland. "Astre" is French for "Star"
Carabinieri Iveco Daily 4X4 van.